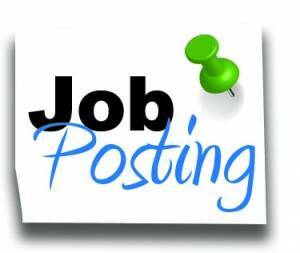 The Coventry Township Fiscal Officer is seeking applications for the part-time position of Assistant to the Fiscal Officer. The ideal candidate is a detail oriented person with substantial experience in general accounting practices, accounts receivable, accounts payable, bank reconciliations, payroll, and payroll taxes. Must have excellent verbal and written communication skills, organizational and interpersonal skills, the ability to maintain confidentiality, and the ability to work independently with minimal supervision. Strong skills required in utilizing Microsoft Word, Excel, Access, and Publisher. Must be bondable. Please submit letter of interest, application, and resume with references to Lori Seeman, Coventry Township, 68 Portage Lakes Drive, Akron, Ohio 44319, no later than 4:00 p.m. on Thursday, April 11, 2019. A printable application is available on the Township website at www.coventrytownship.com. NO PHONE CALLS PLEASE! Pre-employment drug test required. Equal Opportunity/Affirmative Action Employer.